A topsy-turvy ride, a phrase best suited to describe my brief career, always believed in living in the present instead of harping too much about the future. Well, I have received my share of dividends and accolades, but the hardships I had to go through, have been somewhat immense, not exactly meant for the light-hearted, but as they say, one cannot achieve their ultimate goal until they burn their bridges with comfort. But what exactly is that ultimate goal? Is it some monetary value? A lifestyle? Or a state of mind? Either quantifiable or rather abstract, either way, this has been the most sought-after destination for many. To reach that ultimate goal, where one doesn’t require any social acceptance, one often ignores the small moments that lead to that elusive phase of self-actualization and that’s where they falter. People, blessed and gifted enough to even think of having a career in today’s hostile world, have to be obliged to all the responsibilities bestowed upon them by their kin and start being present to every minute detail of their experience. And likewise, I too have duly obliged, and thus would like to reminisce all that I have endured, those moments of sheer ecstasy, those harsh days of agony and those dull moments that are hard to remember. I started my professional life as a budding hotelier, dreamt of being an executive chef of my own restaurant, but honestly, the rigor and hostility of a hotel took the better of me and I had to settle without it, but having a restaurant of my own is still, very much on the cards. As lowly as it may sound, I pursued my industrial training in a leading 5-star hotel for a meager stipend of twelve hundred rupees, a figure low enough to demotivate the most self-driven people around. But who said it was going to be glamorous? All the preconceived notions were wiped out within a week of joining the hotel. I was lacking in every physical attribute required for a hotelier, the only thing on my side was my strategic and tactical knowledge, two things which are not regarded among any game changers in the hotel industry. Well as soon as I finished my under graduation, I knew that I would not be working in a hotel, and I would rather venture into the field best suited for me, sales and marketing. A department, I excelled in while I was doing my industrial training. And thus, I prepared for the placements accordingly and got a job as a sales and marketing executive with one of the most reputed consumer durable brands around. I embraced this opportunity with open arms and went to various cities around India in order to learn the skills and grittiness required from a shrewd marketer. The skill of manipulating, the knowledge of people’s needs and wants. I had to go through beyond my controlled boundary in order to sell my product and acquire stingy customers. Employing not so ethical ways to retain valued customers on a regular basis had become the order of my life, but then again, who said it was going to be like a fairy tale? It did not take long for me to understand that money is the sole driver of this world and everything can be twisted by involving a certain amount of monetary benefits. After working with the rich customers of two of the biggest cities in India I realized the most basic differences between north Indians and West Indians, I learned that people in the north believe in looks whereas people of the west believe in the technical qualities. A statement I am making after dealing with more than four thousand curious customers of Delhi and Mumbai. Still, early days to pass such a judgment, but certainly holds true in my field of work. This understanding couldn’t have come sooner for me as I started to reciprocate their demands and behavior in no time which turned out pretty well for me. After completing one year of my first job, I thought that my academics needed that extra bit of charisma, I thought I had to gain the technical knowledge of the field I so dearly wanted to venture into. 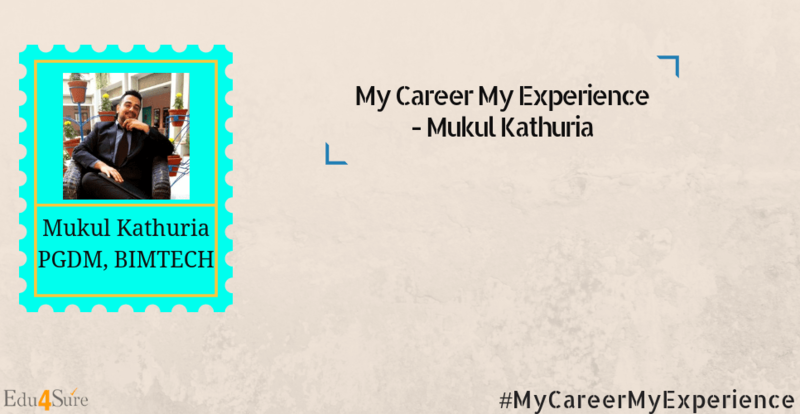 I knew I had to broaden my horizons, get to know people in the industry and polish my skills, so I made up my mind to take a short break from my work-life and concentrate on the various competitive exams that somehow decide the destiny of the youth in this celebrated country. I gave the exams, got admitted into one of the premier business schools of the country and life started to seem rosy again. But when I figured that there was still, a long way to go before the commencement of the first session, I could not hold myself back so I got back into the field, this time with a firm dealing with business to business marketing and direct marketing with customers. I started to raise funds for charity, started promoting telecom connections and to a certain extent enjoyed it too because I knew I was only getting better and sharper. Left it after a month when I got to know that it’s a long-term project and that they were starting to give me more confidential work, something which I would not have been able to do because of my university commitments. So, this time I thought of trying my mettle with telesales, I worked with a travel agency as their sales executive and made many people happy over the phone with my lucrative deals and mouth-watering travel offers. I received appreciation and time started to fly by. By the end of two months, I knew it was time to bid adieu, and so that similar feeling started to creep in again. A mixture of fear, excitement, and anxiety. But the sheer joy of kick-starting my academics again held me together and now here I am, a proud MBA pursuer, waiting to grab that strategic, management role I so dearly wanted to have since finishing high school. Previous articleLooking For A Digital Marketing Course? 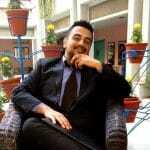 An MBA professional, Got an opportunity to work for Edu4Sure and provided different styles of content writing. I wish you love the content! Why One Should Plan Career In Advance?